Funnily enough, one of Jesse's first food memories of me has to do with tiny teddies. 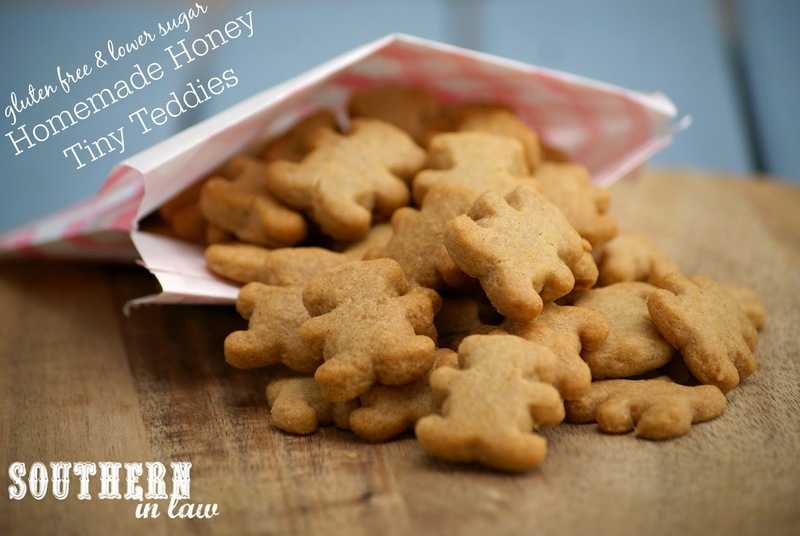 Tiny teddies are a bit of an Australian classic - tiny, teddy shaped honey flavoured biscuits that can be found in lunchboxes around the country. They're sweet and crunchy and delicious and when Jesse first came to Australia, he thought I was a little bit insane for keeping a little packet of tiny teddies in my purse at all times. Why? Well, not only because they were delicious - but at the time I was a very fussy eater as I was sick all the time (this was three years before finding out I was a coeliac) and kept ememgency snacks in my purse for when I couldn't find anything I wanted to eat. Here I was trying to impress my future husband - and he was probably thinking I was a kid for having tiny teddies in my purse - but once he tried them, he realised I wasn't so silly afterall. Nowadays, tiny teddies are definitely off the menu, being gluten free and all - but when Jesse brought up the tiny teddy story a couple of months ago, an idea sparked in my head. I needed to make homemade tiny teddies. 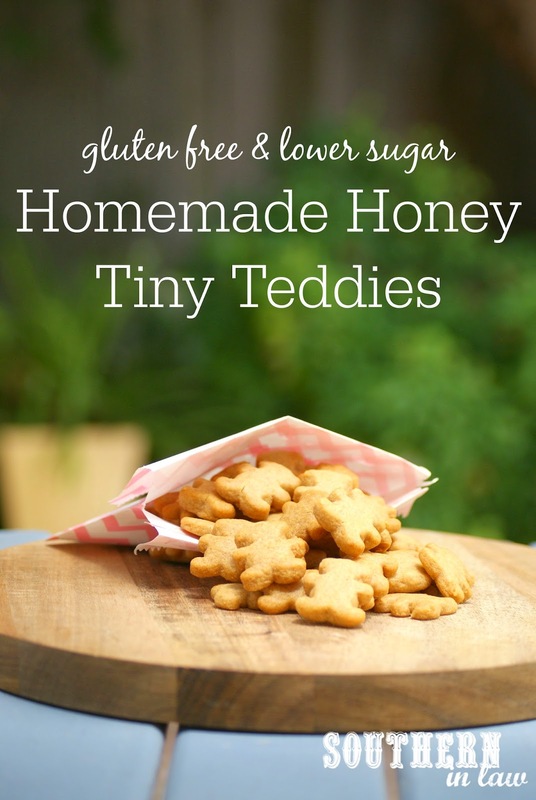 Healthier, lower sugar and gluten free honey tiny teddies that were easy to make, freezer friendly and perfect for lunch boxes. Until I came up with the perfect homemade honey tiny teddies recipe. A recipe that the entire SIL family is obsessed with - and a recipe with half the sugar of the original Arnott's Tiny Teddies. They've been loved by kids and adults alike and even my fussy sister has declared them as even better than real tiny teddies. Now, if that's not a success I don't know what is! In a food processor, add your flours, baking soda, salt, sugar and butter and pulse until the mixture resembles a coarse meal. Add in your honey and vanilla and pulse until your mix starts to form a dough. If needed, add your milk 1 tbsp at a time until your mix starts to come together. Take your mix out of your food processor and knead until combined before flattening your dough into a disc shape, wrapping in cling wrap and chilling in the fridge for half an hour to an hour. Once your dough has chilled, roll it out to around 1/8" between two sheets of baking paper. 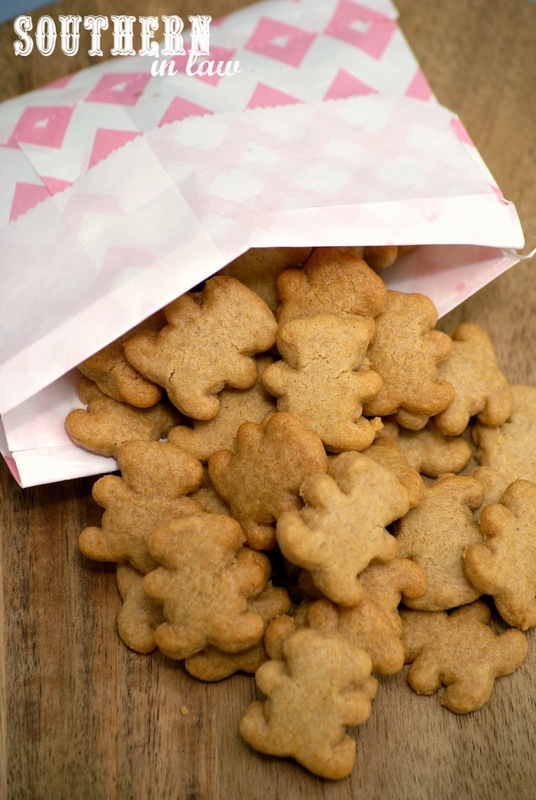 Cut out your teddies using your cookie cutter (or whatever shape you choose) and place onto your prepared baking sheets, leaving about 1cm/1/3" space between each teddy. re-roll the dough as needed until all of your dough is used up. Bake in your preheated oven for 5-10 minutes or until lightly golden. If you want crunchy cookies, bake them between 8-10 minutes turning the heat down slightly at the end half of the baking time if your cookies are browning too quickly. For chewier, softer cookies bake for ~5 minutes. Leave to cool completely before serving or storing in an airtight container. These cookies are best eaten on the day they're made (as they do soften slightly), however, they will keep in an airtight container for up to a week at room temperature. Alternatively, you can make up your dough in advance, cutting the cookies and then freezing the cut cookies ready to bake whenever you like. *If you don't have sorghum flour or can't eat sorghum flour, you can just use another 1/3 cup (40g) gluten free plain flour, however, I highly recommend trying sorghum flour as it's perfect for recipes like these! **If you don't like things really sweet, reduce this to around 75g of sugar. We've made the recipe either way multiple times and both work perfectly. For a non-gluten free version: Use 1 cup plain flour and 1/3 cup wholewheat flour instead. But tell me, what were your favourite childhood snacks? Haha, I'm pretty sure you have these mixed up with Teddy Grahams here in the US! I always loved them as a kid! I've seen so many homemade versions of these recently...I need to make some! 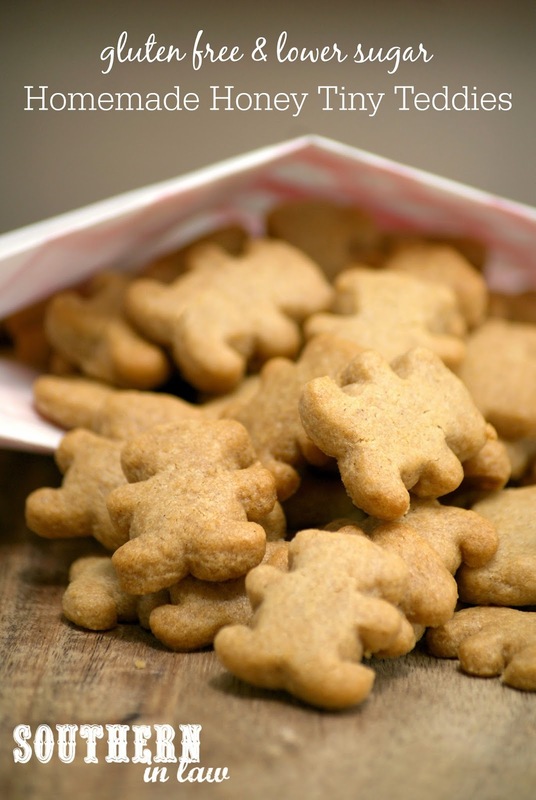 They are similar to teddy grahams but they have a bit of a different taste/texture! Thank you lovely! You'll have to let me know what you think!